MARAWI CITY, Philippines (Mindanao Examiner / Apr. 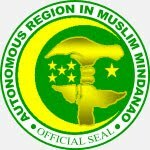 24, 2011) – A Filipino advocacy group held a multi-sectoral consultation in Marawi City in Lanao del Sur province and urged locals to support the government’s reform program in the Autonomous Region in Muslim Mindanao. The consultation was spearheaded by the Islamic Movement for Electoral Reform for Good Government headed by Hadji Abdullah Dalidig, who is also newly elected as Interim President of Reform ARMM Now Lanao region. Dalidig said consultation was attended by prominent leaders in Lanao region and in line with the program of President Benigno Aquino III in an effort to reform the management bureaucracy of the ARMM and enhance good leadership. Aquino has previously called on lawmakers to postpone the ARMM polls this year and synchronize it with the national polls on 2013 to prevent fraud and cheatings as in the past. The President wants to appoint officials that will run the ARMM until new set of leaders are elected. Dalidig pointed out that even if the ARMM polls push through or postponed, there is still a need for people to unite and support Aquino’s program in bringing reforms to the region.